node.js can and should be installed from source. It compiles and installs correctly for versions > 0.8.10. More general info can be found at node.js. Detailed instructions for installing on the R-Pi are on Jeremy Morgan’s blog. Most current version is 0.8.18. 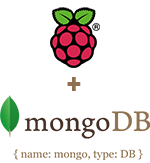 CouchDB can be installed via an “apt-get” for raspbian. The latest version I’ve seen is 1.2.0. More info on CouchDB is at couchdb.apache.org. 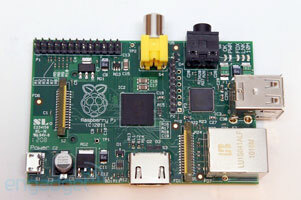 I ordered a Raspberry Pi Single Board Computer on the first day offered, on leap day, February 29, 2012, and received it on June 4, 2012. A bit of a wait but I was excited to “play” with a $35, full-blown Linux-running, HDTV 1080p output, computer — and it was all for a great cause. The Raspberry Pi Foundation is trying to do something about the situation where computers had become so expensive and arcane that programming experimentation on them had to be forbidden by parents; and to find a platform that, like previous generations of home computers, could boot into a programming environment. I’m planning on using multiple R-Pi SBCs as mini servers and for real-time sensing and control of various devices. Now, where did I put my soldering iron and multimeter?